I… I guess it has been a really long time, hasn’t it. 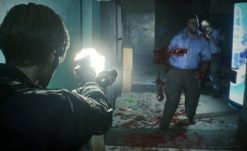 So there’s been a lot of hubbub and fan hopes since Capcom recently went on record talking about how remakes and remasters are something that they’d like to keep pursuing after RE2 Remake. Most fans had been assuming that they were of course talking about games like Resident Evil 3, or possibly other old games in their stable like Dino Crisis, Clock Tower or even non-horror properties like Viewtiful Joe or Ace Attorney. Pretty much nobody thought it could possibly mean the original Resident Evil, but here we are. Now to clarify, this is not confirmation, and announcement, or anything even close to it. This is just the musings of REmake 2 director Kazunori Kadoi when asked about old Capcom games that could be remade, but it is interesting never the less. Huh. Yeah, it has been… a really long time actually since REmake released. In fact we’re getting depressingly close to that game’s 20th anniversary. Obviously, REmake has a very special place in the hearts of fans, it’s often sited as perhaps the best horror game ever made. It’s absolutely Shinji Mikami’s best work, and its availability on modern platforms would seem to rule out the need for one. But on the other hand… Capcom has made like a dozen versions of RE1 to begin with. To date, RE1 is available in six different versions, each with their own unique content and some even reshaping the story significantly. Them redoing RE1 again doesn’t seem that far out of the question, especially seeing as there’s still a lot of newer players who can’t quite get their heads around old school game design. Who knows. At this point, it’s an off hand comment and I’m honestly not particularly for or against the idea personally. 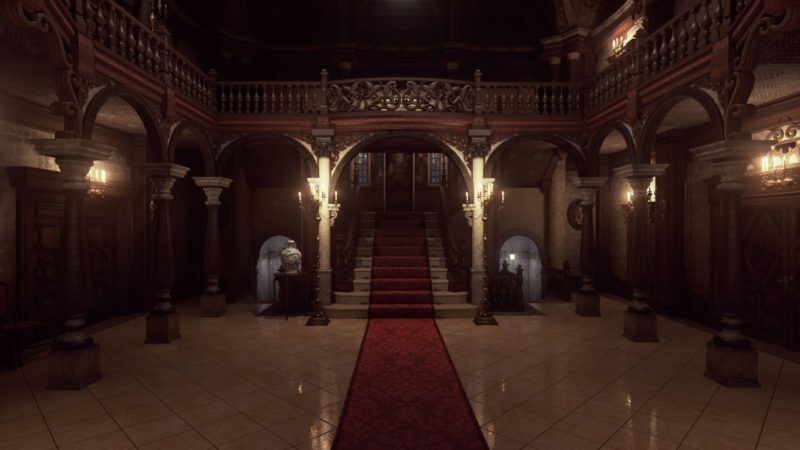 A REmake 2 style remake of REmake could be fun if done right… but then again RE1 is such a slow, claustrophobic game… but REmake 2 looks like it’s pulling that off despite over the shoulder extremely well. It’s a weird thought, I honestly hadn’t ever considered the idea. Hell, in another 5 years we might actually hear stirrings of remaking RE4, or something that we generally consider “newer” (despite RE4 being 15 years old already- less time had past between RE ’96 and REmake when that came out). It isn’t like the original REmake is going anywhere… bwah, what a perfectly Capcom topic. Remake of a remake. Welp, for now, let’s just look forward to REmake 2 and just… see what the future holds after that.